Whether you make use of water storage tanks for domestic purposes or at your place of work, there are many benefits associated with being savvy with water usage; taking advantage of this water that would otherwise go to waste and generally making the most of this incredible resource. While it may be true that over 70% of the world’s surface is covered in water, the fact remains that much less than one percent is suitable for human consumption. While that sinks in, we thought it would be prudent to remind you that making the most of what is available to you is not only cost-effective, but it helps keep the earth free of chemicals, too. 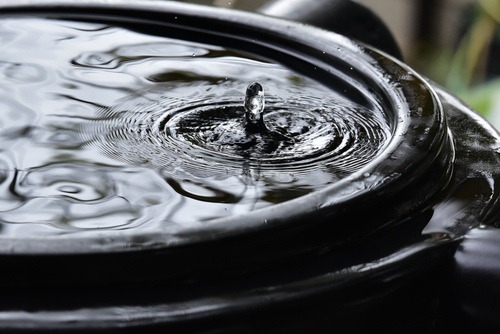 Knowing the best ways to reduce your water consumption will always stand you in good stead, but utilising a water storage – for rainwater harvesting or to hold water until it is needed – is also a very feasible way of ensuring the water you do use goes a long way. That being said, it always pays to be mindful of your water usage at home or in the workplace, so we have put together some top tips for reducing the amount of water you use on a daily basis. The best news is that if you have a water storage tank or collect falling rainwater, you can use this for many of the above tasks and chores, and much more besides; reducing your overall water bill dramatically. It is important to note, however, that while rainwater harvesting is perfect for washing cars and clothes and watering flowers, it is not suitable for human consumption. So, there you have it. Water tanks are a long term investment that will see you reaping the rewards right now, as well as in the future. Please feel free to contact our team should you require any further information, on 01889 567700.